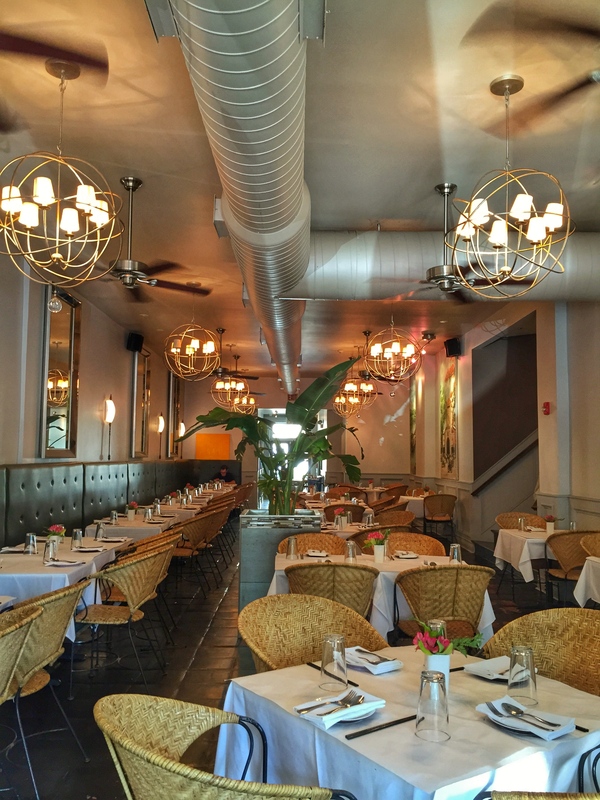 Pasteur is beautiful and airy with high ceilings, white table clothes, rattan chairs, dark chocolate leather banquette, gold celestial-ringed chandeliers and serves traditional Vietnamese. Here’s what you are getting at Pasteur – the Bo Luc Lac, Pasteur’s signature beef steak and commonly known as Shaking Beef. 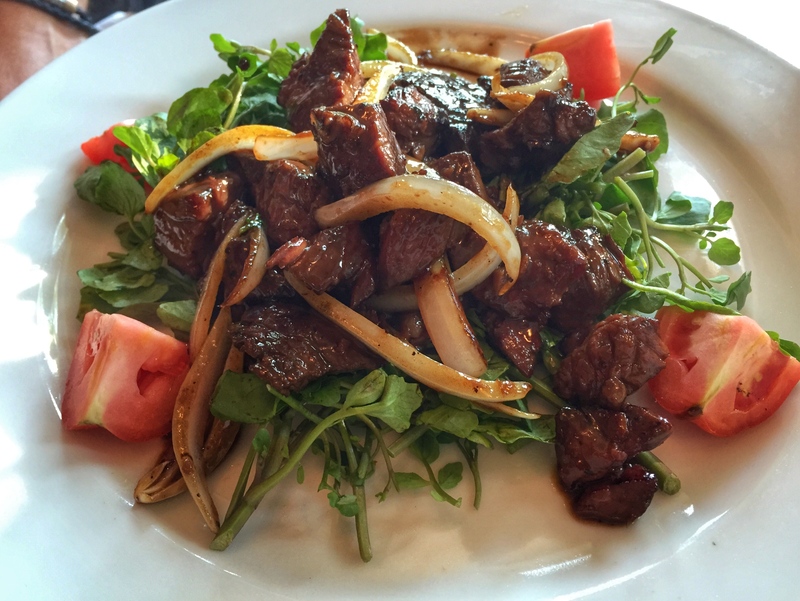 The beef is marinated cubes wok-seared with Beurre de Britain and red wine sauce, served over fresh watercress. The beef is impossibly tender and juicy and the rich flavor pairs well with spicy taste of watercress and sweet taste of the onions. This dish will make you happy. 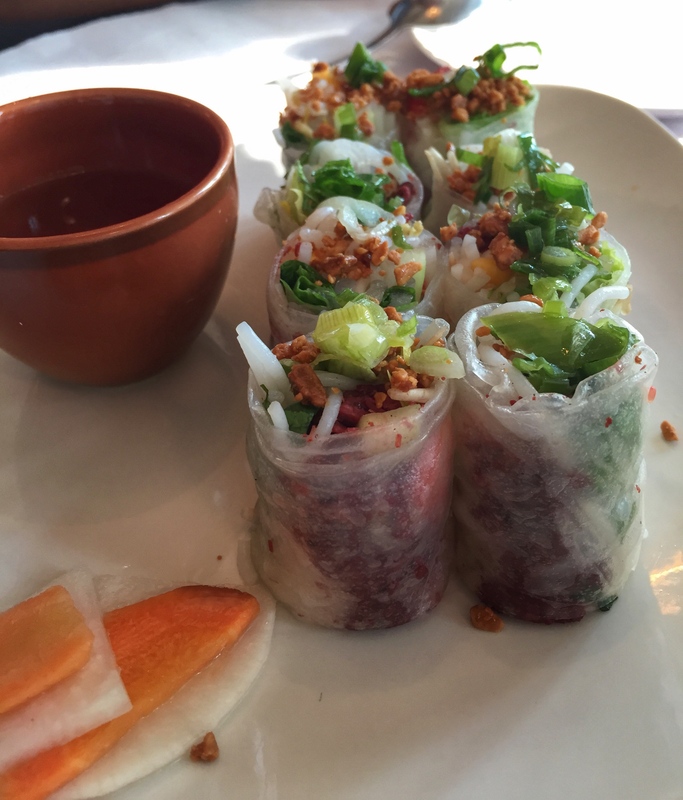 A nice starter is the fresh rice paper rolls (Goi Con) are stuffed with fresh vegetables, rice noodles and your choice of protein – we went with the charbroiled Lemongrass Beef. Pasteur’s bar program is strong with an extensive and well thought out wine and cocktail list. I had heard rumblings of complaints on service being too slow but I did not experience anything but prompt, courteous service. Pro-tip: Take advantage of the huge patio while the weather is still nice.